India, especially the Eastern region, has a lot in common with Bangladesh. We both speak Bengali, love fish, the music and most importantly, share a strong love for cricket. The roar in the stadiums of Dhaka and Kolkata sound alike, because the passion for the sport transcends borders. But how much do we know about the ever-entertaining India vs Bangladesh matches? So, let’s improve your knowledge about India vs Bangladesh cricket matches with some interesting statistics. The first India vs Bangladesh match took place at Chittagong in 1988. Since 1988, India has gone on to play against Bangladesh in 9 tests, 33 ODIs and 8 T20s. To know about the best performing players and other benchmarks of past Bangladesh vs India cricket matches, read the following statistics. India has won 84.37% of ODI matches and all the T20 matches played against Bangladesh till now. In Tests, India has won 7 tests and 2 of them were draws. Murali Vijay (IND) and Mushfiqur Rahim (BAN) have both scored 2 centuries in India vs Bangladesh test matches. Virat Kohli has 3 centuries to his name, which is the most in IND vs BAN ODIs. Shakib Al Hasan (BAN) has taken the most wickets (15) in India vs Bangladesh Test matches. Mashrafe Mortaza (BAN) has taken the highest wickets (21) in ODIs. Mushfiqur Rahim (BAN) currently has the most dismissals (11) in IND vs BAN Tests. The highest score in an India vs Bangladesh Test match is 204 by Virat Kohli. Rohit Sharma scored 123 runs, which is the highest in an IND vs BAN ODI. Sabbir Rahman has scored the highest runs (77) in an IND vs BAN T20. Shikhar Dhawan (186 runs) and Rohit Sharma (356 runs) are the highest Indian run scorers in India vs Bangladesh T20 matches. Sabbir Rahman (236 runs) is the highest run scorer from the Bangladesh team. While India has won the Asia Cup 6 times, the Bangladesh team has reached the finals once in 2016. In recent times, India vs Bangladesh cricket matches are reaching new levels of intensity and excitement. While India has an upper hand in overall statistics, Bangladesh has delivered some incredibly surprise wins in the past. So, think about it, how exciting would playing Bangladesh vs India fantasy cricket matches be? 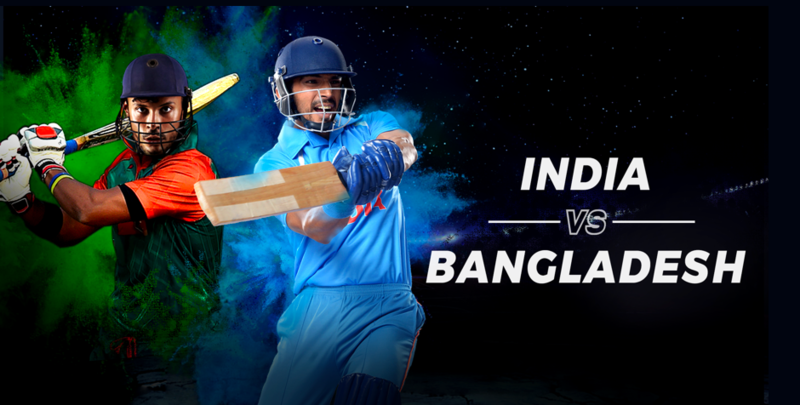 On Dream11, you can choose from numerous contests to compete in IND vs BAN cricket matches and score great winnings. But along with the fun fantasy cricket games, you can also get India vs Bangladesh match timings and complete squad details. Put this information to good use by developing effective strategies for your fantasy cricket matches. So, sign up for Dream11 right away. Here, you can enjoy India vs Bangladesh matches with engaging fantasy cricket games anywhere with your smart device.